Great.... "Unknown" number calling at 8.40am... scary.... please, not another crazy episode? I quickly called back to see who called and apparently, it is our nurse and Dr Gelfand wanted to meet with us wanting to see if we can be there in an hour. I read about Dr Gelfand and know that he is one of the top Pediatric Pulmonologist in the DFW area. I asked if we can reschedule this for later but the nurse said that if it's later, then it will be abother doctor, so, we quickly rushed to the hospital. Again, that morning, as we were heading there, I looked at my facebook and say Joel Osteen posting this. "If you’ll learn to get up every day expecting God’s favor, you’ll see God begin to do amazing things in your life. You’ll overcome every obstacle. You’ll defeat every enemy." Deep down inside, I know it's God's way to tell me to stay positive and stay strong". So, the meeting started with Dr Gelfand telling us, do you know what is CCHS? Well, the CCHS is also known as the Ondine's Curse, he was explaining abotu the myth which I have read numerous times. Then, he went on to the signtific terms of CCHS. Basically, people with CCHS stops breathing or breathes swallow when they sleep and eventually accummulate a lot of CO2. The normal CO2 level is between 35 to 45 but when the CO2 levels gets extremely high, this people will fall into a coma and eventually die. So, he started telling us about the plan on what to do and trach is the way to go. Tears rolled down... 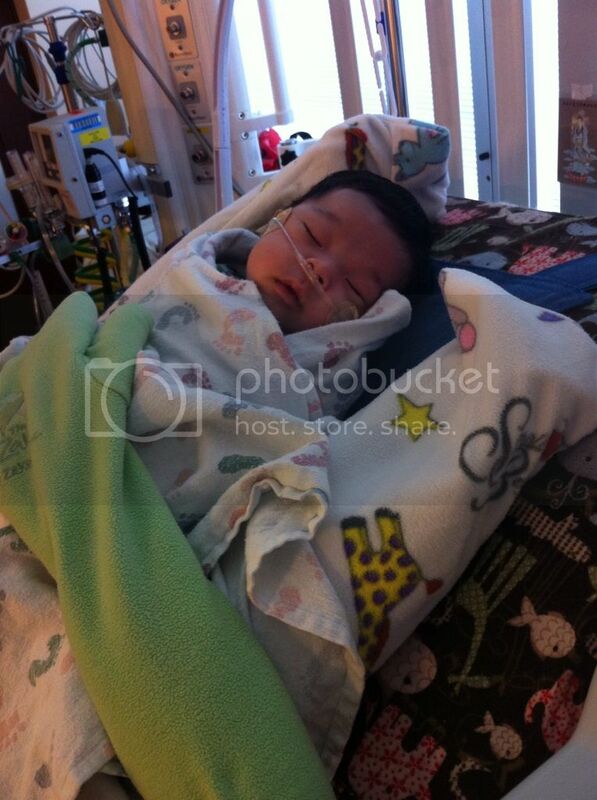 I don't want to trach my son. I cannot do this is what I was thinking. When we were done talking, Dr Gelfand said, you are quiet, do you have any other questions? That's when I started crying.... because I have just been trying to absorb everything that he was telling me. He told us that kids with CCHS will have a near normal life, eventually, they will just be on the ventilator when they sleep but when they are infants, they need to be on the ventilator 24/7 to help them breathe. That way, it will not affect their brain development. These kids play soccer, volleyball, etc, but if they have trach, the only thing they can't do is swim but if they eventually take out the trach, they can swim. These kids will go to normal school, they will have a nurse with them, he said Hunter is his oldest patient, he's 14 and he goes to school with his nurse. When you are comfortable enough, you feel like you don't need a nurse anymore, you can just tell me. My question to Dr Gelfand is... why is your oldest patient just 14, is it because they don't live long enough or because you just see pediatrics? He doesn't see older patients but he also have just been in the DFW area 16 years, so, he's just been seeing younger kids. He showed us 2 toddlers with trachs, I just don't like it... I hate it. He said, I am not even sure why he isn't on the ventilator all these while but I am not going there. Oh well... I guess he's saying that he should have been on the vent all these while. I just feel so sad.... why do we have to go through this? My poor baby, sleeping there.